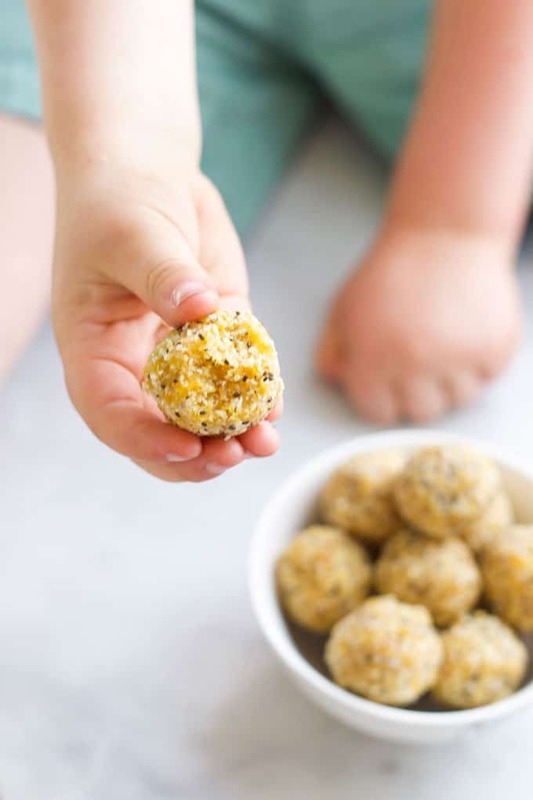 Easy to prepare with only five ingredients, these delicious Apricot Balls are a portable treat that the whole family can enjoy. I like to get my kids involved in the kitchen as much as possible and although they do enjoy helping to prepare meals, they are happiest when we bake or make sweet treats. 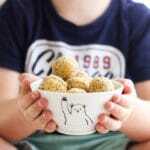 I love how easy these Apricot Balls are to prepare and that the kids can help at every step. 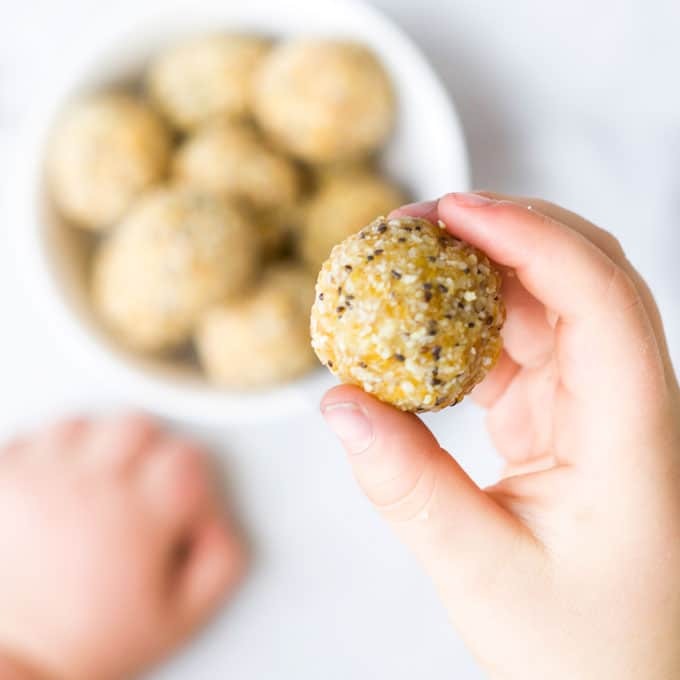 Like most energy ball recipes, this recipe is flexible and the ingredients don’t have to be measured out precisely. So if you have an eagerly helpful kid or child that likes to taste at every stage, then this recipe is perfect! As there are only five ingredients and they are quick to make, the recipe is also great for making with younger children with shorter attention spans. You can find various recipes for Apricot Balls on the internet and they differ vastly in ingredients. In my version, only natural ingredients are included. Although these apricot balls are healthier than many other recipes, I still consider them a “treat” or “occasional food”. There is no added refined sugar, honey or syrups etc but there is a high level of concentrated sugar in dried fruits and we have to be mindful of this. Energy Balls that use dried fruit, like these Apricot Balls, are sweet and energy-dense. It is easy to eat large amounts at a time, which can result in excess sugar and calorie intake. If you are looking for a nut-free apricot ball then you can simply replace the cashew nuts with oats. I would reduce the amount to 3/4 cup of oats. If the mixture is too dry then add a little more lemon juice and if you find it isn’t holding together well then add 1tbsp of coconut oil. If your child doesn’t like the texture of chia seeds then you can miss them out. You can always blitz the mixture, remove a portion and add chia seeds at the end. My prefered method of storing these balls is in the freezer. Keep them in an airtight container and they will be good for three months. They can be enjoyed straight out of the freezer. Alternatively, you can refrigerate them in an airtight container for up to a week. Have you tried this recipe? I love receiving feedback, please rate and leave a comment below or tag me on Instagram. 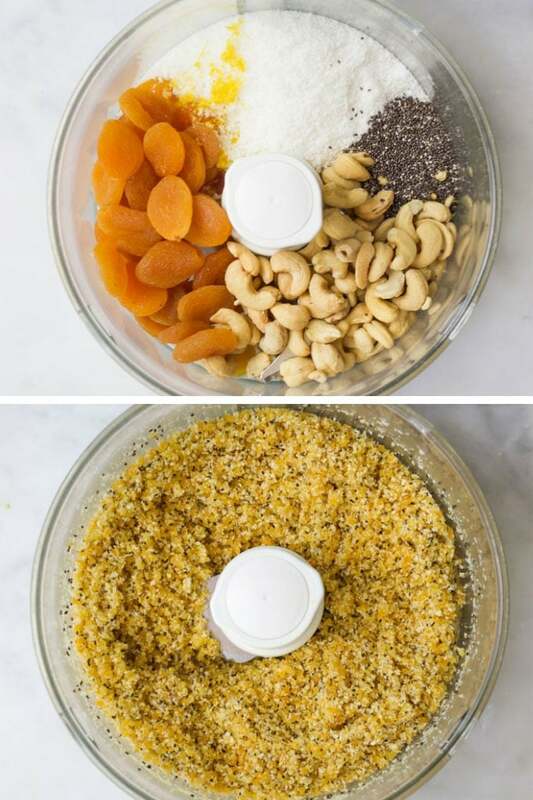 Place all ingredients into a food processor and process until the ingredients are broken down into a crumb. Take a tbsp amount of the mixture and roll into a ball. At first, you may think the mixture will not form into a ball but when you squeeze it together it stays. If you feel it needs more moisture you can add a little more lemon juice or water. Continue to form tbsp sized balls until the mixture is finished. I made 25 balls. 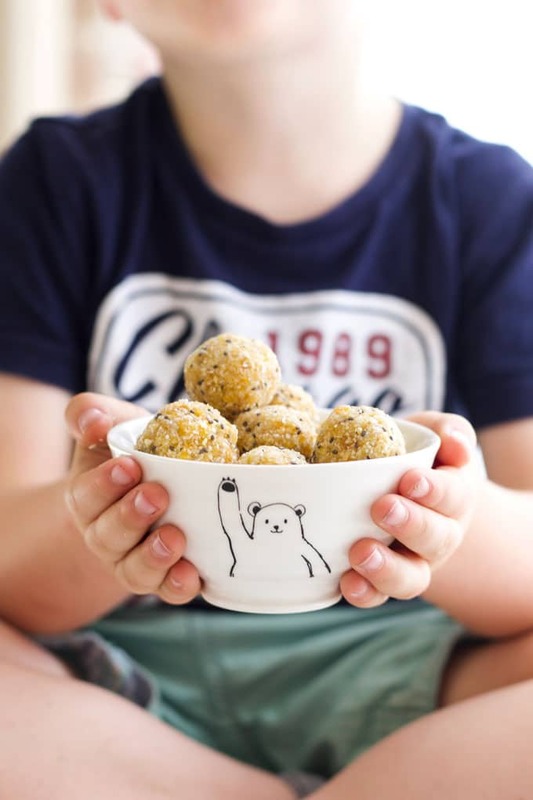 I’ve been trying to get my kids to eat more nuts and energy balls are the easiest way. Kids liked them and I loved them!